Hi. I’ve only been blogging for a couple of years, about this, that and the other. 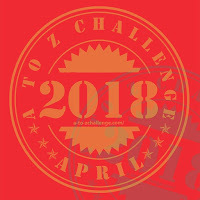 I’ve decided to join in the April A-Z challenge for the first time! I’ve decided on a theme, based on places I’ve travelled to. I’m looking forward to reading everyone’s contributions!